Can Crowd-Funding Your Care Compromise Medicaid Eligibility? Crowdfunding is a useful tool provided by platforms like Go Fund Me and Kickstarter to help raise money across the country and worldwide for various needs, including funding charitable causes and small businesses, as well as the creation and development of new products. Some people also use these platforms for personal interests, like funding their tuition, travel or personal healthcare costs, making it a very popular tool. However, crowdfunding campaigns need to be carefully considered, as they may affect your eligibility for Medicaid. As a state and federally funded program, there are certain restrictions in place that limit who can make use of the medical assistance that they provide, and one of these limitations is on your income and assets. Essentially, you have to fall below the value threshold for your income and assets in order to qualify and receive assistance. Does a crowdfunding campaign count as income? This depends on who sets up the campaign and has access to the funds and resources it provides. Medicaid will consider this as part of your income if this is you, but it is more of a grey area if the fund is set up by someone else and you do not have direct access to the income it provides. 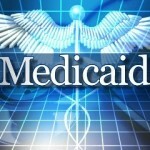 What’s the best way to retain Medicaid eligibility? This doesn’t mean that you should refrain from using crowdfunding platforms to raise money for your benefit, but it needs to be done in a way that will not count towards your income and prevent you from receiving assistance from Medicaid. The best way to do this is through a Supplemental Needs Trust, as the assets of the trust (that is, the income from your crowdfunding campaign) will be not by you, but by the beneficiary of the trust (a trusted individual named by you). If you would like assistance in setting up a trust to manage additional income and assets, or other Medicaid assistance, speak to Frank R. Campisano today. Experienced in elder law, compassionate and committed to his clients, you’ll receive the highest quality legal expertise and guidance that will help you secure better care. In addition, you can also prepare additional estate planning documents, such as your Last Will and Testament, Power of Attorney documents and trusts. For more compassionate legal guidance, Medicaid planning information and a free consultation, please contact us or visit our website at http://www.scclegal.com/ today. Your estate plan is a long-term commitment to protecting your hard-earned assets, something that is usually started at a younger age and evolves through various events in your life as your assets and dependents grow and change. Keeping it up-to-date and in line with your current requirements takes time and effort, and it makes sense that such an important set of legal structures is properly protected. So, how can you best do this? 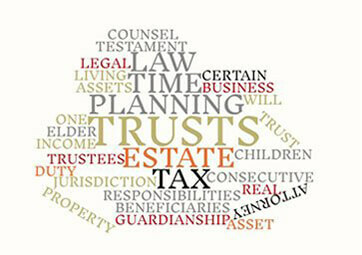 Here are some suggestions from a leading estate planning attorney in New Jersey. Don’t underestimate your life expectancy: With advances in medical treatments, better nutrition and healthy lifestyle regimes, each generation is living longer – and better – lives than the one before. The US Social Security Administration estimates that people reaching 65 this year are likely to live to an average age of 85. This is vital to take into account when planning for retirement and your later years, and should be reflected in your Medicare planning, long-term care insurance and other financial components of your estate plan. Pre-pay your funeral expenses: A death in the family is often an incredibly difficult experience, and having to make funeral arrangements and organize a budget for the funeral is especially taxing on your loved ones. Ensuring that your funeral arrangements and expenses are included in your estate plan ensures your wishes are met and that this burden is lifted off your loved ones, allowing them to grieve properly. Have your own lawyer: For most people, when they get married, estate planning becomes a partnership – but the reality is that you both bring different assets and a different focus to the table. 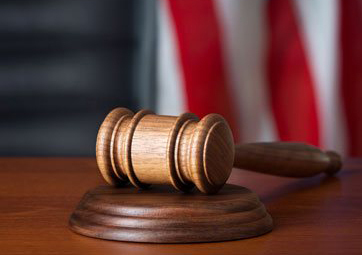 By each having your own estate lawyer, both sides are equally represented and this will help smooth out any differences in a mutually beneficial manner. Consider your retirement income: Estate planning isn’t just about where your assets will go when you die, it’s about making them work to your benefit as well – especially during your retirement. Planning your financial future early on lets you plan for your retirement income and helps you make informed decisions now that will help make that income a reality. If you would like further guidance on protecting your real estate assets by creating an irrevocable living trust, LLC or a Last Will and Testament, Frank R. Campisano can provide you with the necessary expert legal advice and professional insight. In addition, he can also assist you with all other aspects of your estate plan, from drawing up medical directives and Power of Attorney documents to Medicaid planning. 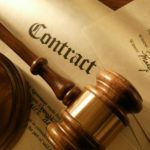 For more information on setting up or changing an estate plan, please contact him at the law firm of Sedita, Campisano & Campisano, LLC in New Jersey or visit our website at http://www.scclegal.com/ today.